Ninja Bill fights his worst enemy yet… himself. 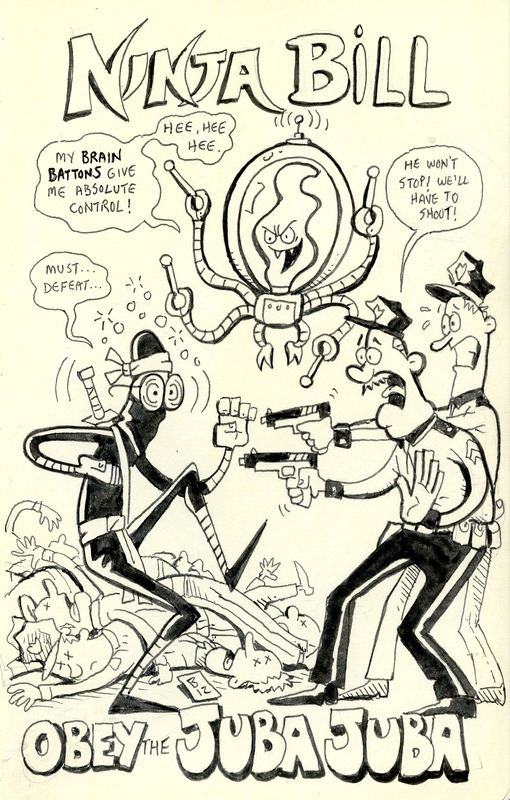 Under the control of the Juba Juba (an alien who uses his notorious brain batons to conduct his enemies thoughts), Ninja Bill finds himself unwillingly taking down the city police force, one cop karate chop at a time. How can you stop the unstoppable? How can you control the uncontrollable? 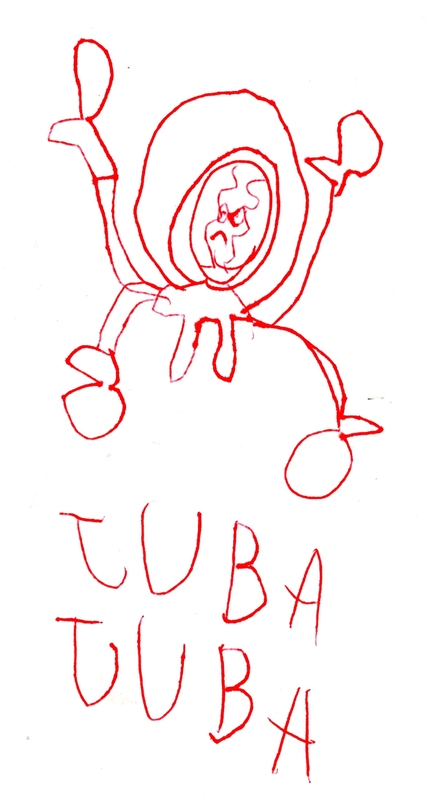 How can you out juba the Juba Juba? 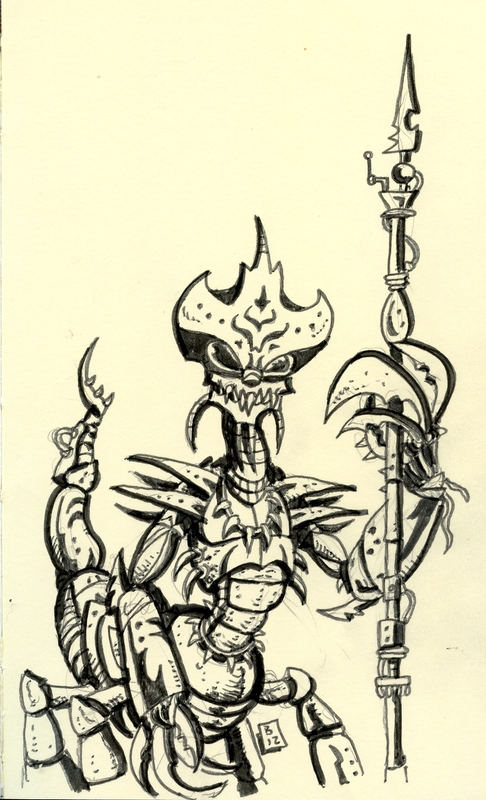 Below is the drawing that my second oldest son created which inspired this villain. He has three space helmets on. I could only fit in two. 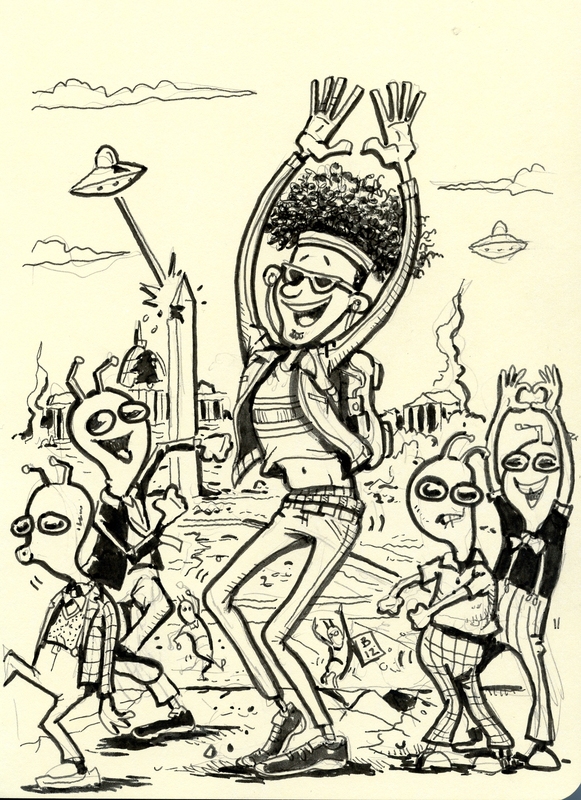 After the apocalypse… Rodney had a dance party with all the alien overlords, just because he could. Heeeyyy! Hooo! Characteristics: Fast moving, unfriendly but financially shrewd, these creatures are feared most of all the highly-evolved jungle creatures. When not attacking and eating intruders in their territories, they spend much of their time high up in the trees intercepting data transmissions with their primitive technology in order to make stock trades.